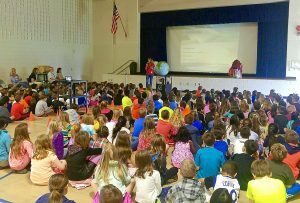 Book Payge for your next school assembly, community event or conference! 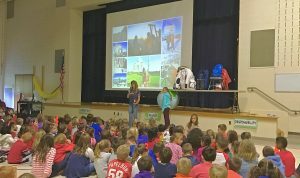 A motivational, educational and inspiring assembly that is designed to get kids excited about learning, trying new things and overcoming adversity. 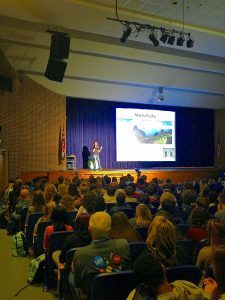 It Incorporates history, science, math, geography and cultural diversity, reinforcing that what they learn in school today prepares them for tomorrow’s adventures! This is an interactive 45 minute – 1 hour presentation. Great for schools, community organizations, clubs and parks. VIDEO INTRO (3 min.) 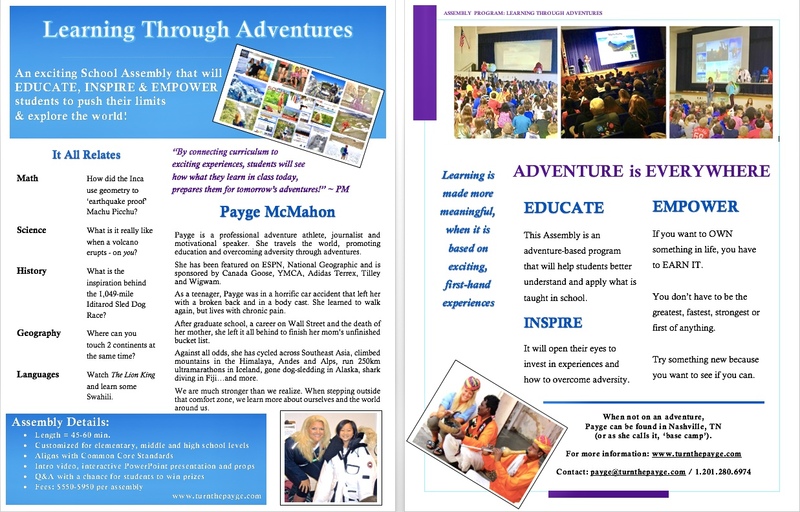 Turn the Payge – Learning through Adventures!